Be prepared for mortgage underwriting to speed up the process. A home may be the largest purchase you'll ever make, so it shouldn't come as a surprise that a financial institution will want to verify that you can afford it – now and in the future – through the underwriting process. Mortgage underwriting assesses the risk of lending money to a potential homebuyer. During this process, you'll submit a loan application, along with documentation to support your earnings, assets and liabilities. You'll also consent to a credit check. The lender will perform an appraisal of the property, which determines whether the offer you've submitted on a home is an appropriate value. Risk protection. Financial institutions go through the underwriting process to protect against excess risk and make a wise lending decision, says Mike Oakes, executive vice president of retail operations for U.S. Bank. Responsible banking. The process helps prevent consumers from obtaining loans they don't have the ability to repay, which is in part controlled by federal regulations, Oakes says. "Part of our job is to say we agree they have the ability to repay and that it's a good scenario for both parties," he says. But mortgage underwriting can take days or drag on for weeks, especially if you're not prepared to submit full documentation, or if your loan needs to go through manual underwriting. If you have your paperwork organized and are ready to work with your lender, the experience can be efficient. Schedule an initial consultation with a mortgage lending officer to determine if you are ready to buy a home, says Ron Haynie, senior vice president of mortgage finance policy for the Independent Community Bankers of America. "There are also HUD-approved housing counselors who can help with special government programs targeted to first-time borrowers or low- to moderate-income borrowers," he says. A great place to start your preparation for the underwriting process is a toolkit offered by the Consumer Financial Protection Bureau, which will guide you step by step through buying a home, from just considering your options to closing on a home. The underwriting process will begin once you fill out an application with a lender. You'll be asked for information, including your address, birth date, previous residences, Social Security number and income – and all of it will have to be backed up by documentation. Get your paperwork in order before you start the process, as you would for a CPA who is doing your tax returns. "Consumers should have a good understanding of their financial situation and should be prepared to provide proof of income, employment and assets," which could include bank accounts, investments and real estate assets, Haynie says. "They should also be prepared to disclose their debts, such as credit cards, auto and student loans." Income and assets. If you're employed by a company, underwriters will ask for pay stubs. Income verification can get complicated, though, if you have inconsistencies due to a bonus or another factor. The underwriter might then reach out to your employer to find out more about bonuses, overtime wages and longer-term equity awards, and possibly to seek additional documentation, Oakes says. If you're self-employed, more paperwork is likely to be involved, especially around tax returns. This could include personal tax returns and all relevant schedules because the financial institution wants to know more about the long-term viability of your business, Oakes says. 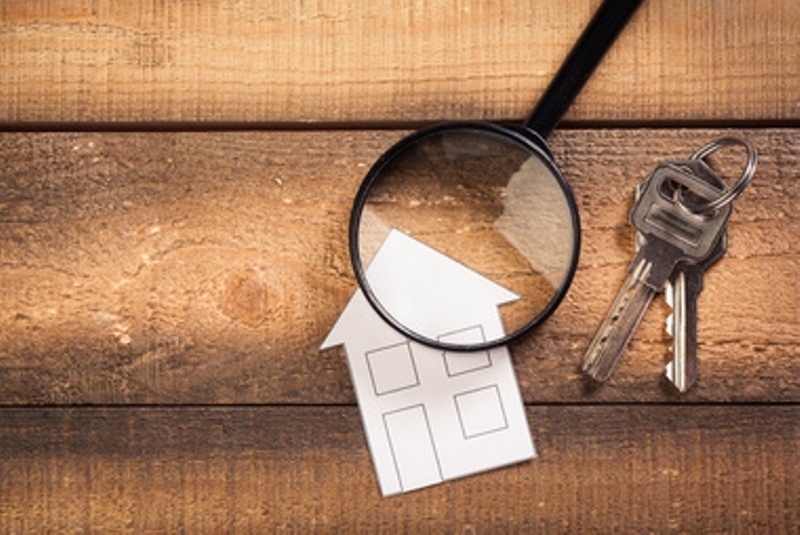 The lender will want to know where your down payment is coming from – mortgages typically require a down payment, except for special programs that offer low or no down payments – and will need documentation to verify your funding source. The lender also wants to ensure that you're not borrowing money from somewhere else to make the down payment possible, so you'll need to show how the money got to your account, whether through wages, gifts or other sources. Credit history and score. The credit score of the home purchaser is a vital component of the underwriting process. Your score can influence your interest rate and which mortgage programs are available to you. You can obtain your credit score for free through AnnualCreditReport.com, the only site federally authorized to provide free credit reports, and through some credit card companies. Review the report at least six months before you plan to apply for a mortgage so you can make improvements and correct any errors. Property value. One of the pivotal parts of the underwriting process is confirming the value of your property. Even though you've agreed to a price with the seller, an appraiser who evaluates the home's condition and the value of similar nearby homes has to back up the price. Your property's appraisal will then be matched with your mortgage amount. The loan-to-value ratio, which describes the size of your loan compared with the value of the property, also helps evaluate risk. An LTV ratio of 80% – such as a $160,000 mortgage on a $200,000 property – is a dividing line; if you borrow more than 80%, you'll typically have to pay mortgage insurance to the lender, says Bill Banfield, executive vice president of capital markets at Quicken Loans. Other property-related factors influencing underwriting include property taxes, home insurance and homeowners association dues, if applicable, Banfield says. Also, the lender will obtain a review of the title of the home to ensure there are no issues – such as liens – associated with it, Oakes says. Appraisals are subject to appraiser availability and access to the home, however, so this is a potential point for underwriting to stall. Ensuring all documents are in order, organized and submitted right away. Knowing his or her credit score and whether it will help secure the desired loan and interest rate. Answering any lender inquiries completely and quickly. "You can really streamline your own process," Banfield says. Using digital exchanges is another way to speed up the process dramatically. In Banfield's experience, digital exchanges, such as when the consumer allows the lender to connect directly to another bank to confirm assets, simplify document sharing. Another way to make the process less taxing is to obtain a verified preapproval letter before you make an offer on a home. Prequalification can give you an idea of how much you might be able to borrow, but preapproval is more concrete. Preapproval means the lender will examine your income, assets and credit to verify your risk factors. It allows you to be a step ahead, Banfield says. If you're preapproved, all you'll need is an approved home offer and an appraisal, he says. You might even be able to lock in an interest rate. If you can't get a lender to approve your loan application, you have options, depending on the reasons for your rejection. If you're not approved because of a low credit score, take a step back for a few months and work on improving your credit rating. Focus on getting your accounts current and paying down balances. Or you may need to adjust your offer if the appraiser doesn't agree that the home is worth what you've offered to pay. Go back to the sellers and see if they'll reduce the price to the appraised value so you can get your mortgage approved. If your income, assets or both aren't enough to afford the home you want, you could choose a more affordable property, save more money for your down payment, or look for assistance through a co-signed loan. Typically, applications are either approved or denied, but sometimes, mortgages are suspended in underwriting. If that's the case, you may need to provide more documentation to verify employment, income or assets. This question might seem a bit odd at first, but there can be different stages for a loan application. Typically, the difference is when someone has submitted a loan application to a lender but has yet to pick out a property. When submitting an application in order to receive a preapproval letter, there are certain things the lender will need before a preapproval can be delivered. One, you’ll need to provide written authorization for the lender to pull your credit report and retrieve credit scores. Loan programs today have minimum credit score requirements. Before any approval letter is issued, credit will need to be reviewed. Lenders must also determine affordability. When issuing a preapproval letter, it’s typically after the borrower and the loan officer have had a conversation about monthly payments, down payments and closing costs. This prequalification is the result of a general conversation between the two regarding current credit status, employment, assets and other items. When these items are reviewed and confirmed, it’s at that point where a preapproval letter can be issued. When this information is provided to the lender, either over the phone, in person or in writing, the application becomes an official one and the lender then is required to supply an official Loan Estimate to the applicants within three business days. It is this loan estimate that will be used to compare the initial estimate with the final numbers at the settlement table. For example, lender charges cannot vary from the initial estimate to the final settlement statement. Third party charges can have an aggregate variance of 10 percent from the initial estimate. For required services where the borrowers select the provider, which is rare by the way, there is no regulation limiting changes to the final number. If any one of the required six items is missing, the loan application is not an official one and loan disclosures will not be delivered. Most often this is a property address. It’s important to note here that just because one item is missing doesn’t mean the lender doesn’t have to provide you with an estimate of closing costs. Your loan officer certainly will upon request. But when a completed loan application with the minimum six pieces of information are provided, things get official and various loan disclosures will be issued and the clock begins to tick. As we mapped out in our homebuying timeline, understanding what you can afford is key, and this includes your down payment. If you're like most, your down payment is top of mind as you embark on your homebuying journey. Whatever you do, don't hang a white towel from your window just yet. 1. You don't need a 20% down payment. This is one of the biggest misconceptions in the market, with many homebuyers putting down significantly less. In fact, the average down payment for first-time homebuyers is 5%, according to the National Association of Realtors®. Plus, options like our Home Possible® mortgage allows qualified borrowers to put down as little as 3%. 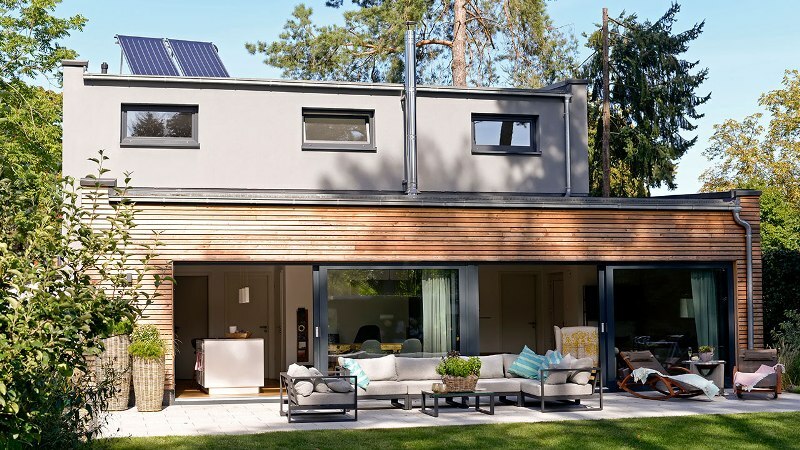 Putting down less than 20% means you'll be required to pay private mortgage insurance (PMI). However, if putting 20% down is not an option or will deplete all your savings and leave you with no financial cushion, it's probably not in your best interest. Plus, once you've built equity of 20% in your home, you can cancel your PMI. 2. Assistance is available. Pulling together enough money for a down payment may be a challenge, but the funds don't necessarily need to come from your savings account, nor do you have to do it alone. · With many of today's mortgage options, your down payment can come from a variety of sources other than personal savings, including gifts from your family or employer. For many homebuyers, this is a huge bonus. 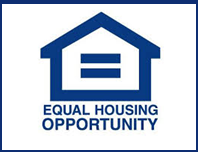 · There are also hundreds of programs across the nation that provide down payment assistance, with eligibility requirements varying based on your location, income and other criteria. Check out Down Payment Resources' handy online tool, or explore HUD's listing of available programs by state. The down payment program benefit is typically around $10,000, perhaps enough to get your funds. Don't assume homeownership is out of reach because of the down payment. Get savvy and rev up your engine! There are many programs and products that can help you realize your dream of homeownership. 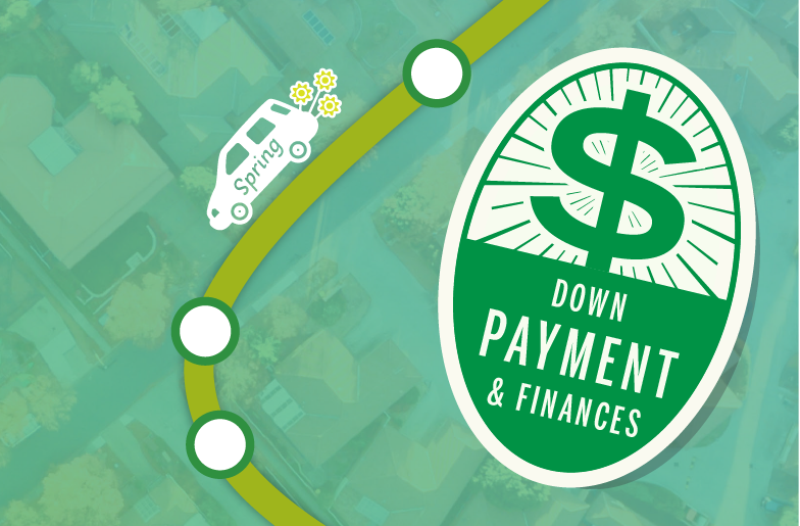 Learn more about down payments, down payment assistance options and be sure to follow our spring homebuying blog series. The key to a good budget is including as much information as you can, so that you can adequately prepare and plan. 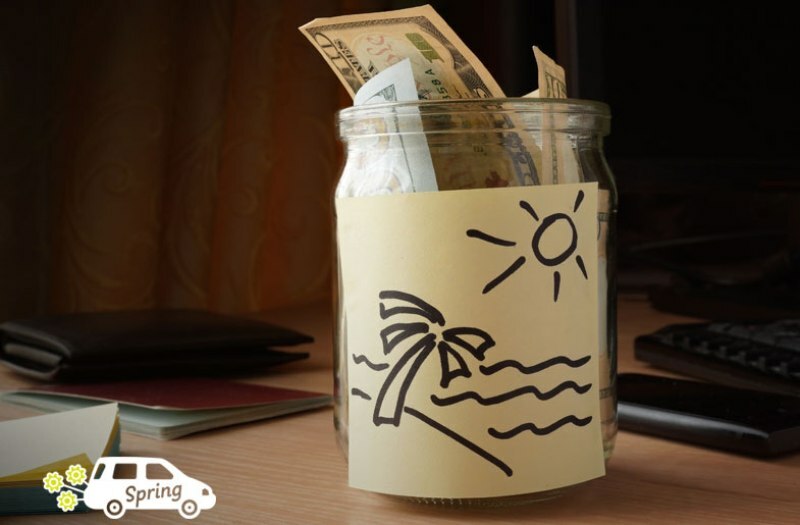 It's important to keep accurate records of your spending so you can spot places to save money and know how much you can reasonably spend. ABA’s budgeting worksheet (also available in Spanish) will help you document and categorize your expenses. 4. Take your tax deductions. 5. Make your house – or apartment – your home. 6. Save up for a rainy day. Although life may be sunny now, it’s a good idea to create a rainy day fund. The fund should have at least three to six months of living expenses in case you or someone in your household loses a job or becomes ill and unable to work.?? The vast majority of older American?s want to remain in their homes as they grow older, also known as aging in place. There are a number of costs to consider when aging in place including home modifications, transportation and in-home medical care. One way to pay for these costs and stay in your home is a reverse mortgage. 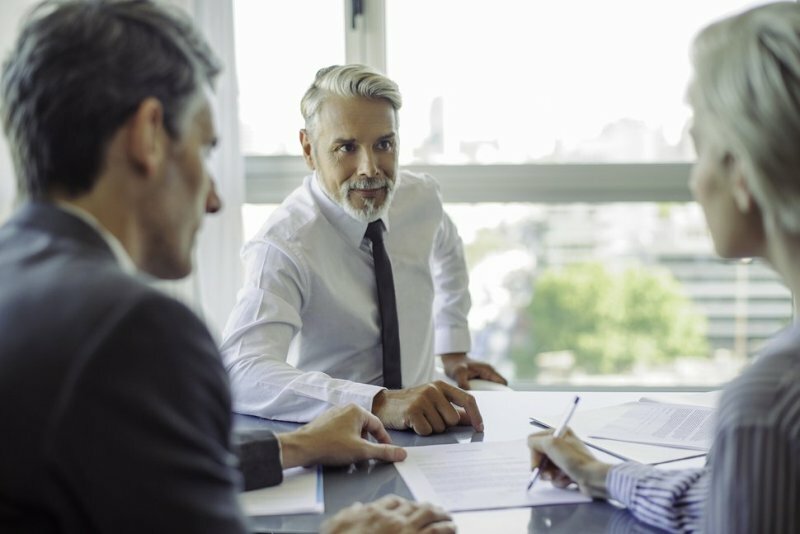 If you’re considering a reverse mortgage, the American Bankers Association encourages you to understand what it is and weigh the pros and cons. Reverse Mortgage – A reverse mortgage is a type of loan that allows you to borrow against the equity in your home. You must be at least 62 years-old to qualify. Home Equity – This is the value of your home minus debt against it. Homeowner – With a reverse mortgage, you are still a homeowner and still responsible for paying property taxes, insurance and upkeep. Repayment – When the loan is over, you or your heirs must repay cash received from the loan plus interest. The reverse mortgage loan becomes due when the borrower dies, sells the home or moves out of the home. The lender may also require repayment if you fail to pay your property taxes, fail to keep your home insured or fail maintain your home. Be sure to read the terms of the agreement closely before signing. Fees – Just like with any other mortgage product, there will be fees to close the loan. Lenders may allow you to pay the fees using your reverse mortgage. They are added on to the balance of your loan and must be repaid with interest when the loan is due. 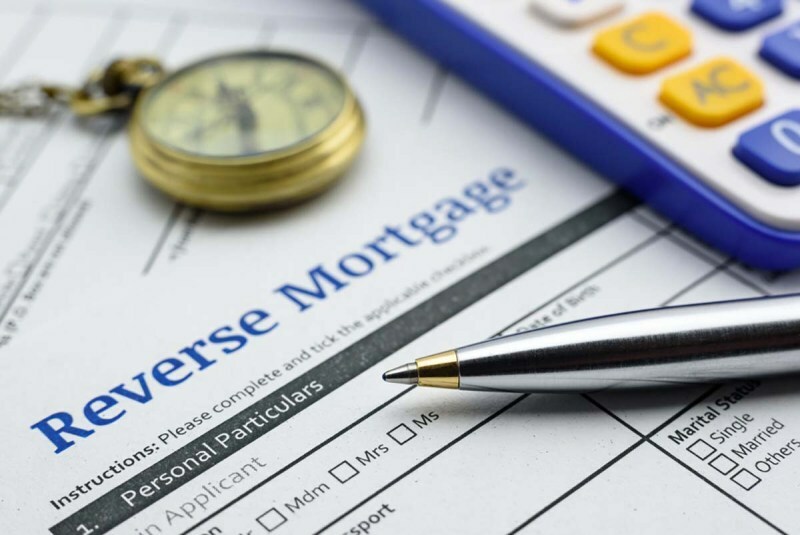 Total Annual Loan Cost – Because different reverse mortgage products can vary, it can be difficult to compare prices and choose the best one for you. Ask your lender for the Total Annual Loan Cost, a single annual average rate, to help compare various reverse mortgage products. Co-Borrower – If you live with a spouse or partner, it is highly recommended that you apply for the reverse mortgage together as co-borrowers. Anyone living in the home who is not a co-borrower will be required to pay the loan or move out when you move or die. Payout Options – The way you take cash from your reverse mortgage can vary. You can opt for a line of credit to take cash only when you need it, a monthly payout, or a single lump sum. ?Shop around. Be sure to check with multiple lenders. You can use sites like www.reversemortage.org, sponsored by the National Reverse Mortgage Lenders Association, to find lenders in your area. Understand your options. Be sure to evaluate all the options you have including applying for a home equity line of credit or home equity loan. Also consider selling your home. Be cautious. If someone is selling you something and suggests you use a reverse mortgage to pay for it, consult a trusted advisor before signing anything. Nothing is free. If anyone suggests that a reverse mortgage is free money, don’t believe it. Fees are built into the loan, which must be paid back with interest when it becomes due. Know your rights. After closing the loan on a reverse mortgage you have three business days to reconsider your decision. If you choose to rescind the loan, you must do so in writing. Consider borrowing jointly. If the reverse mortgage is in one person’s name and that person dies or leaves the home, the loan will become due. If there are two people living in the home – make sure you’re both on the loan or able to repay the loan – otherwise, you may end up losing the property. Consider your age. Be cautious if a lender is suggesting you do this at an early age. Your debt will begin to grow and equity will decrease as soon as you take out the reverse mortgage. The longer you have the loan, the more it will cost. Only take what you need. Carefully consider your payout options. Keep in mind that if you take the full amount of the loan in one lump sum, you will be charged full interest on the largest possible loan amount. U.S. Department of Housing and Urban Development: http://portal.hud.gov/hudportal/HUD?src=/program_offices/housing/sfh/hecm/hecmhome? Short for annual percentage rate, APR is how much your loan will cost over the course of a year. This figure is almost always higher than the interest rate, because it takes into account the interest charged as well as fees or additional costs associated with the loan. Since all lenders use the same formula, it can be a more effective way of comparing mortgages rather than just the interest rate. The costs, in addition to the price of the property, that buyers and sellers are charged to complete a real estate transaction. Costs include loan origination fees, discount points, appraisal fees, title searches, title insurance, surveys, taxes, deed-recording fees and credit report charges. An account held by a neutral third party (called an escrow agent) who works for both the lender and the borrower. Escrow accounts are usually required by lenders to cover property taxes and mortgage insurance. After an initial deposit, borrowers pay into the escrow monthly – usually as part of the mortgage payment. An accurate estimate of fees associated with a loan provided to the customer by a mortgage lender or broker. A GFE is required by law under the Real Estate Settlement Procedures Act (RESPA). The estimate must be provided within 3 business days of applying for a loan. An individual or company who connects borrowers and lenders for the purpose of facilitating a mortgage loan. Unlike a mortgage lender, a broker does not make the loan or service the mortgage. A mortgage broker may represent various lenders or may offer loans from one single source. Borrowers can pay a lender points to reduce the interest rate on the loan, resulting in a lower monthly payment. The cost of one point is equal to 1 percent of the loan amount. Depending on the borrower, each point lowers your interest rate by one-eighth to one one-quarter of a percent. A legal document detailing the terms under which the lessee (the renter) agrees to rent property from the lessor (the property owner). A lease guarantees use of an asset and guarantees regular payments from the lessee for a specified number of months or years. Notification from the landlord to the tenant ordering the tenant of vacate the property. In most cases, the notification is given because the tenant either broke one of the terms of the lease or is not following through with payment of rent. The tenant is typically given 30 days to vacate the premises. Similarly, a notice to intend to vacate may be required under the lease for the tenant to notify the landlord before vacating the property. Filled out by a prospective tenant, which typically authorizes the landlord to conduct a credit check to determine the suitably of the individual. Often, there can be a non-refundable fee associated with the rental application. Funds, in addition to rent, that a landlord requires a tenant to pay to be kept separately in a fund for use should the tenant cause damage to the premises or otherwise violate terms of the lease. 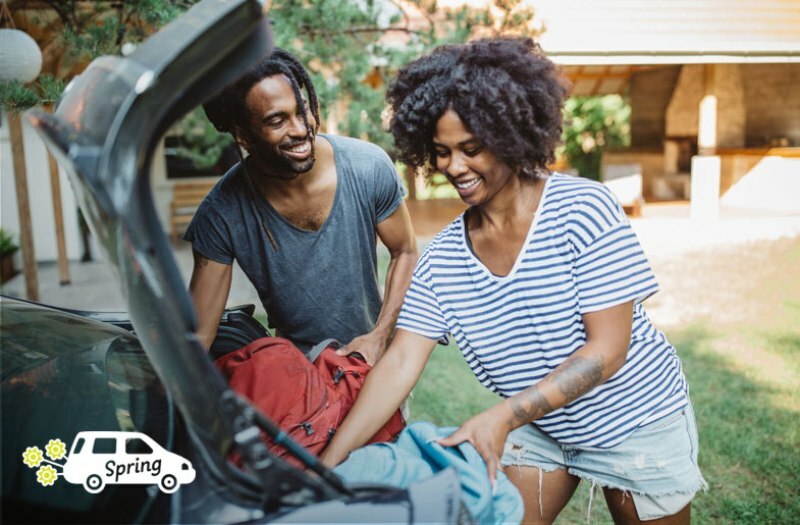 An important step to finding a home, whether you’re renting or buying, is ensuring that you have a good credit history. The American Bankers Association suggests the following tips to improve your credit score. Your credit report illustrates your credit performance, and it needs to be accurate so that you can apply for other loans – such as a mortgage. Everyone is entitled to receive a free copy of his or her credit report annually from each of the three credit reporting agencies, but you must go through the Federal Trade Commission’s website at www.annualcreditreport.com?, or call 1-877-322-8228. Note that you may have to pay for the numerical credit score itself.? Preparation is key to navigating today’s housing market. As part of American Housing Month, ABA offers the following tips to help prepare potential homebuyers. Get references from family and friends and do your research. Call your local Better Business Bureau and ask if it has had complaints about any of the lenders you are considering. Keep in mind, federally insured banks are required to operate under a high level of regulatory supervision. A fully regulated bank may be your best choice. To find a fully regulated bank in your area, use the FDIC’s BankFind webpage at http://research.fdic.gov/bankfind. While everyone's homebuying timeline is going to be different, it's highly recommended that everyone work with their lender to get pre-approved before beginning to house hunt. Shopping with a pre-approval letter in hand boosts the confidence of both you and the seller which helps your journey run a lot smoother. 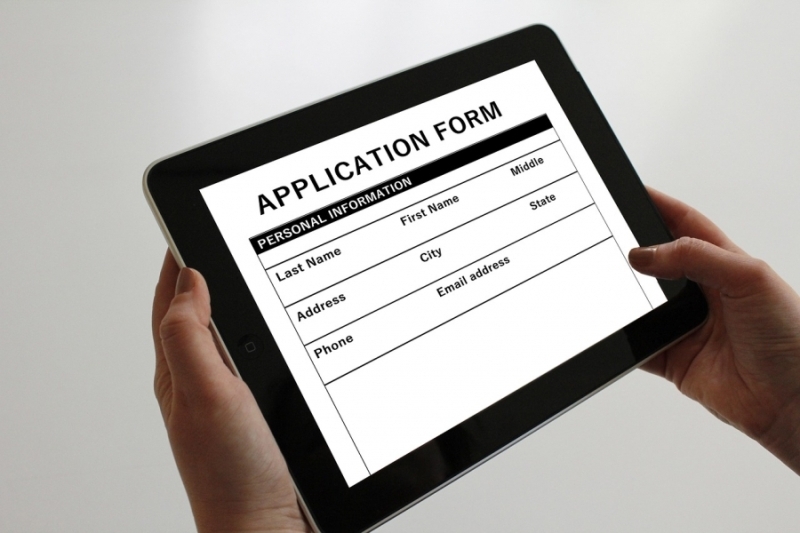 So—what is a pre-approval letter and how do you get one? Gather your travel documents and let's hit the road. A pre-approval letter is a letter from your lender that tells you the maximum amount you are qualified to borrow. Getting a pre-approval letter is not a loan guarantee, it is simply documentation that states how much a lender is willing to lend you—pending further details. By starting your homebuying process in the lender's office instead of in an open house, you can discuss loan options and budgeting with your lender. This should provide you additional guidance for your house hunting price range. Pre-approval letters are also valuable to the seller because it proves you are a serious buyer. A pre-approval letter confirms that your credit and documentation have been verified—which can help you move faster in the competitive spring homebuying market. Be aware, pre-approval letters have an expiration date so be sure to ask your lender how long your letter will remain valid. Start by getting in touch with a lender and filling out a loan application. Your lender will ask you to provide W–2 statements, bank statements, credit report and tax returns. They will want to make sure you are a good credit risk and have the financial ability to make your payments on time. Getting a pre-approval letter doesn't mean you are committing to that lender for your loan. You will want to talk to multiple lenders to decide who can offer you the best deal that meets your needs. Note, the amount listed on your pre-approval letter not necessarily how much you should borrow – it's the maximum. Only borrow an amount that you feel comfortable repaying. What to know more about the homebuying process? Be sure to follow our spring homebuying series.